If ever there was an artist that embraced the modern age of releasing music, it is Rita Ora. 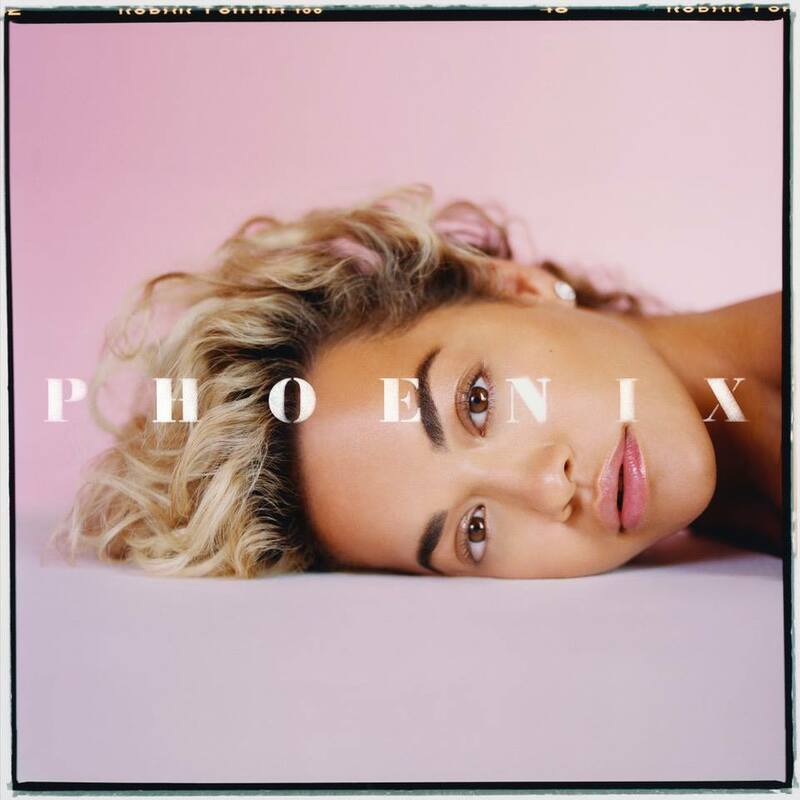 Though she has 19 singles (and counting) under her belt, she’s only had one album previous to her latest offering ‘Phoenix’. Partly due to issues with contracts and producers and partly due to her talents on screen taking her away from a full time career in music, it’s caused a bit of a roller coaster ride musically. Thankfully, this latest collection of songs more than makes up for it. In what is a largely rare feat, the first 10 songs on this album are absolute bangers. Kicking off with ‘Anywhere’, we are instantly reminded of the purity in Rita’s voice. Paired with a cracking beat, it’s super catchy. Most recent single ‘Let Me Love You’ is a stunning tune with amazing melodies and arrangements. I’ve had it on repeat since it was released. ‘New Look’ is Scandi-pop at its finest and is so catchy, you’ll keep hearing it in your head for days. Rita’s collaboration with Avicii (‘Lonely Together’) is a good reminder of how great of an artist he was, but also showcases Rita’s ability to have fun. Ed Sheeran then appears on ‘Your Song’, the track which kickstarted this project last year. It still sounds great many months later. ‘Only Want You’ and ‘First Time High’ bring love and relationships front and centre and again are catchy tunes that are easy to love. ‘For You’ is also an amazing song and is the only thing I’ll miss about the ‘Fifty Shades’ franchise wrapping up. The music created for those soundtracks was incredible and this song is one of them. It feels at home amongst the rest of the album too. The string of bangers concludes with a Rudimental collaboration (‘Summer Love’) and ‘Girls’ featuring Cardi B, Charli XCX and Bebe Rexha. For all the hype around Julia Michaels, I still don’t understand it. For me the song included here is boring and almost pop music by numbers. There’s nothing particularly unique about it lyrically or musically. She’s sought after for songs a fair bit at the moment but I’m not a fan. Press skip on ‘Keep Talking’. The introspection you’d expect from someone who has struggled to get an album out comes through in some of the final tracks. ‘Hell Of A Life’ and ‘Soul Survivor’ reflect back on the challenges over the past six years for Rita. If you’re tossing up between the standard and deluxe version, go deluxe as the extra songs are worth the extra money. Overall, ‘Phoenix’ is a great album. It’s not a perfect album, but it’s pretty darn close to it. It’s taken a long time to get here, but it’s been worth the wait. She’s got a great team behind her now and hits our shores in March on tour, which is exciting for her Australian fans. Rita Ora is making up for lost time and rising from the ashes. MUST LISTEN : Let Me Love Me, First Time High, Soul Survivor.